Many people like the convenience and portability that bottled water offers – they have a lid, for example, so you don’t have to worry about spilling whilst you’re on the go. 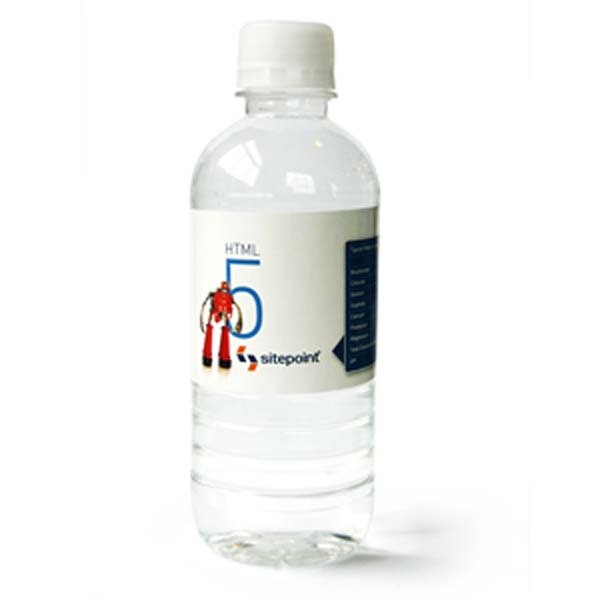 Whether you plan to hand them out at an event or you want to make them available in your workplace, Novel Tees can supply branded promotional water bottles in Melbourne, Sydney, Brisbane, Perth and beyond. 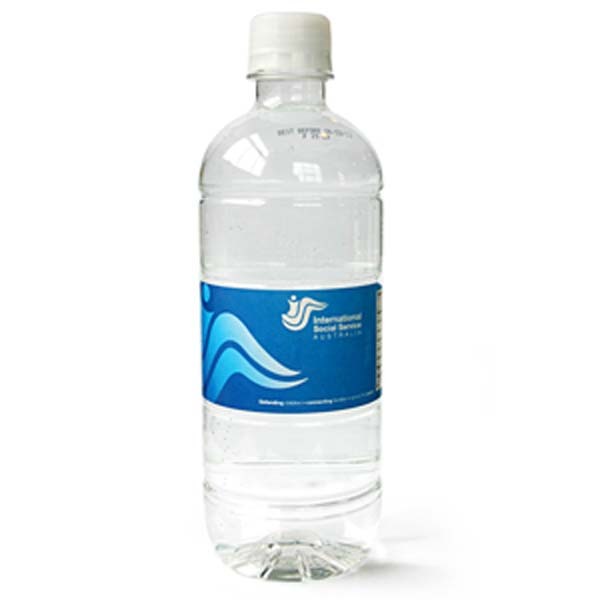 We supply promotional bottled water in Melbourne and beyond in varying sizes to ensure that your hydration needs are met with ease. Sizes include standard bottles (600ml), extra large (2.2 litres), pop top (250ml), mini bottles (350ml) and screw apart (700ml or 680ml). All of the promotional water bottles with logos in our range are completely BPA free, which ensures that you’re making smart choices for your health. BPA (bisphenol A) has been linked with a number of health issues, particularly amongst fetuses and infants. Novel Tees supplies personalised water bottles with a variety of lid options to ensure that you can choose the one you’re most comfortable drinking from. These include sipper and screw top lids. We also offer options that twist open lower down to reveal a wider mouth (for easier cleaning and filling). Our custom printed water bottles feature high quality labels that are resistant to water, so you don’t have to worry that your branding will wash away should someone spill. The labels have a glossy finish that really gives you that professional edge.